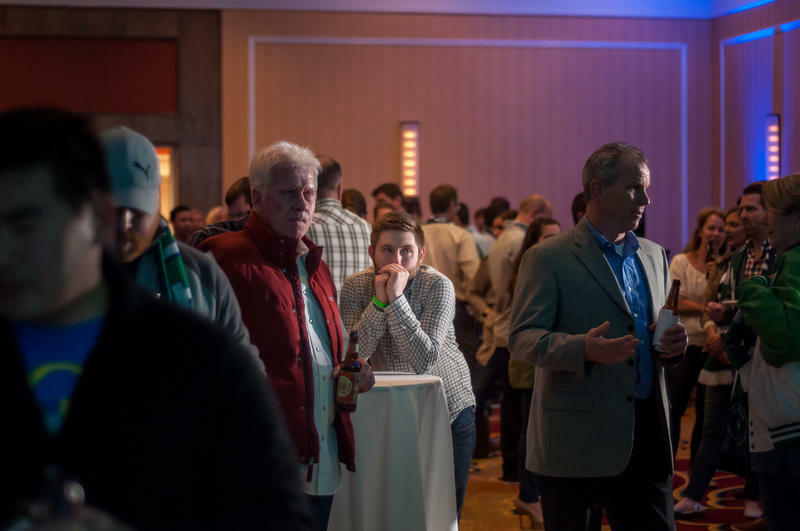 Hunter Maret of University City watches Proposition 2 election results at Union Station at a pro-soccer stadium gathering Tuesday night. It’s fair to say that lots of pro soccer fans shared Peacock’s salty sentiments after voters on Tuesday struck down Proposition 2, which would have put $60 million in taxpayer money toward building a stadium. 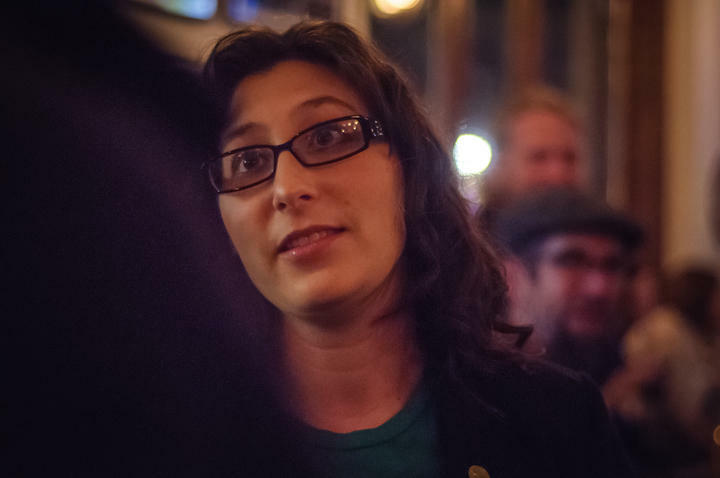 Alderman Megan Green's 15th Ward voted overwhelmingly against Prop 2. Green was an outspoken opponent of giving city money to help build a proposed soccer stadium. On the surface, Prop 2’s demise was surprising. SC STL spent more than a $1 million, while opponents barely raised any cash to oppose the measure. 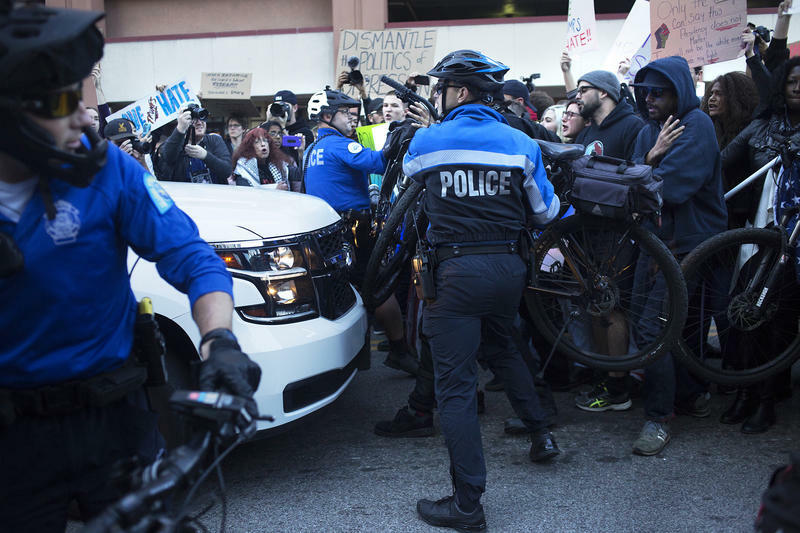 But among the detractors were experienced political activists who’d been involved in Bernie Sanders’ presidential campaign and St. Louis Treasurer Tishaura Jones’ mayoral bid. So it’s probably not much of a coincidence that Prop 2 fared particularly poorly in wards that Jones, who was vocally opposed to it, carried last month. In the 15th Ward, which includes the Tower Grove neighborhood, Prop 2 failed more than 20 percentage points. It went down by even larger margins in heavily African-American wards that both Jones and Board of Aldermen President Lewis Reed won. 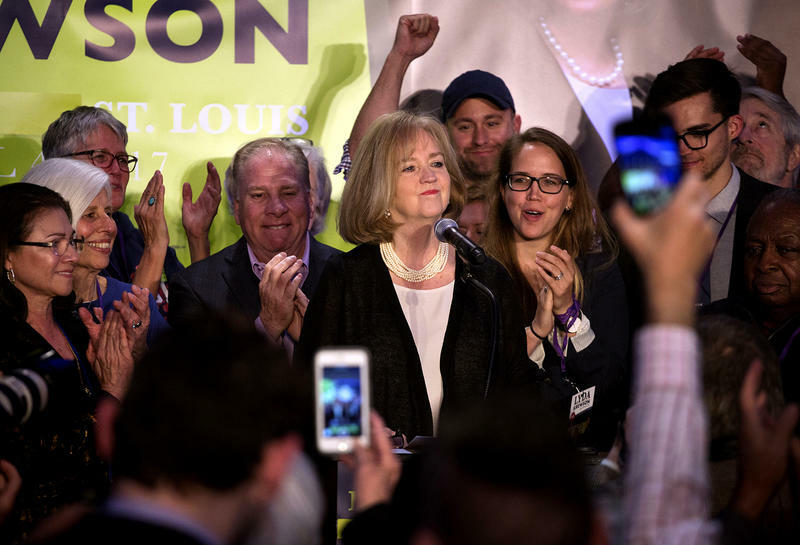 The measure also fared poorly in south St. Louis, a part of the city that Mayor-elect Lyda Krewson won decisively. It failed outright in the 11th and 14th Wards, and barely won pluralities in the 12th and 13th Wards. There were also a lot of ‘no’ votes in places where the proposition succeeded, like the 16th and 23rd Wards. This matters quite a bit, because south St. Louis wards hard particularly high turnout Tuesday. More than 50 percent of voters in the 16th Ward turned out — 1,762 of which voted against Prop 2. Had stadium proponents held down margins on the south side, they may have been able to overcome the 3,240-vote margins of defeat. But the measure didn’t even get a majority in the 28th Ward, a slice of the central corridor that Krewson represented on the Board of Aldermen. Gov. 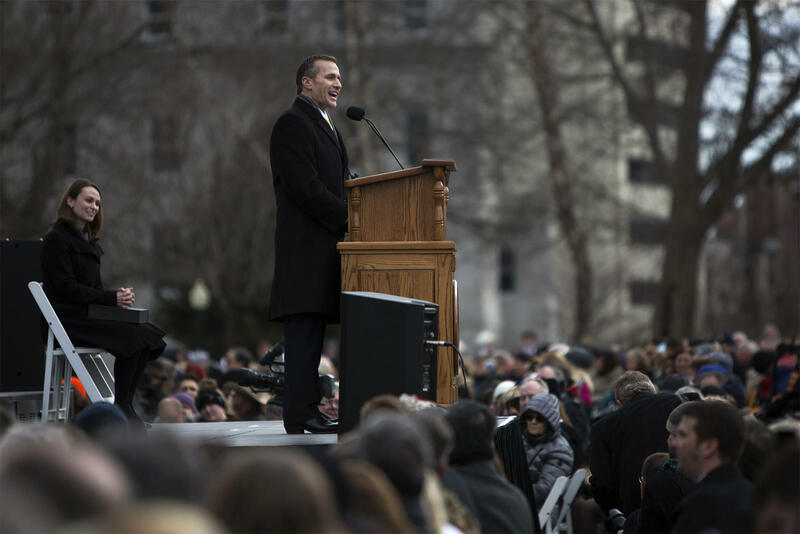 Eric Greitens speaks to the crowd after taking the oath of office outside the Missouri State Capitol in Jefferson City on Jan. 9. When the stadium project was unveiled, state tax credits were a key part of its funding. But those plans were thrown for a loop after Gov. Eric Greitens’ denouncement of publicly funding stadiums. Ultimately, Greitens expressed more comfort about forging some sort of deal to lease or transfer state land for the stadium project. But the lack of vocal support from the governor’s office likely wasn’t helpful, and may have solidified the idea that the facility would be paid for on the backs of city residents. Kavanaugh said of Greitens: “I think the governor was focused on transitioning into office — and he had his focus on not funding public stadiums. Alderman Terry Kennedy said it was difficult for his 18th Ward constituents to get "excited about projects that are really based up on the profit motivations of people with money." When Glenn Burleigh stepped to the lectern at a February committee hearing, he laid out a particularly strong argument against Proposition 2, which took proceeds from a use tax on out-of-state purchases and directed it toward the stadium. Burleigh, who for years has helped out Democratic political campaigns, noted the use tax goes toward things like affordable housing, public safety and public health. Voting for Prop 2, he said, meant voters were choosing stadiums over vital social services. That struck a nerve with a lot of people, including African-American elected officials like Alderman Terry Kennedy, who questioned how a stadium would help areas of the city struggling with crime and depleted services. “I think that voters sat back, they looked at the actual budget, they considered things in a realistic way – and they made the proper decision for the city from a financial basis,” Burleigh said Tuesday. City residents did approve a half-cent sales tax increase for things like expanding the Metro Link and funding public safety programs. That also raised the use tax, which, since Proposition 2 failed, will go toward the programs people like Burleigh contend are bigger priorities. 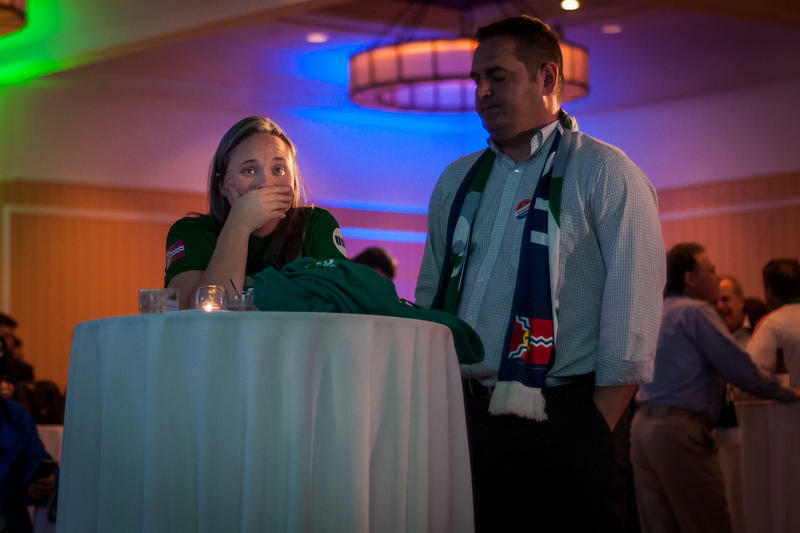 Soccer stadium supporter Peter Krenn, of Bellefontaine Neighbors, along with investors Jim Kavanaugh and Paul Edgerley, react to vote results. The division between St. Louis and St. Louis County clearly played a role in the outcome, Kavanaugh said Tuesday night. Even Proposition 2 supporters like Phil Grooms were disappointed that only St. Louis residents were going to be on the hook. Getting St. Louis County involved wouldn’t have been an automatic prospect. County Executive Steve Stenger would have had to get a proposal through a hostile County Council. He was also adamant that the measure go to county voters — and it’s highly possible they also wouldn’t have been keen on publicly funding the stadium. Regardless of the structural barriers, Prop 2 proponents like Jarred Irby said county participation may have allayed concerns among city residents. Now that an MLS team is likely off the table, he still thinks the sport has a strong presence, and a strong future, in St. Louis. “As far as the overall aspect of the city being doomed, I hope that a soccer stadium wouldn’t be the large marker of the fate our city,” Irby said. “I mean, soccer definitely takes up a large part of my life. It takes up a lot of weekends. It takes up a lot of my weekdays. Most of my adult friends I’ve met come through the soccer community. 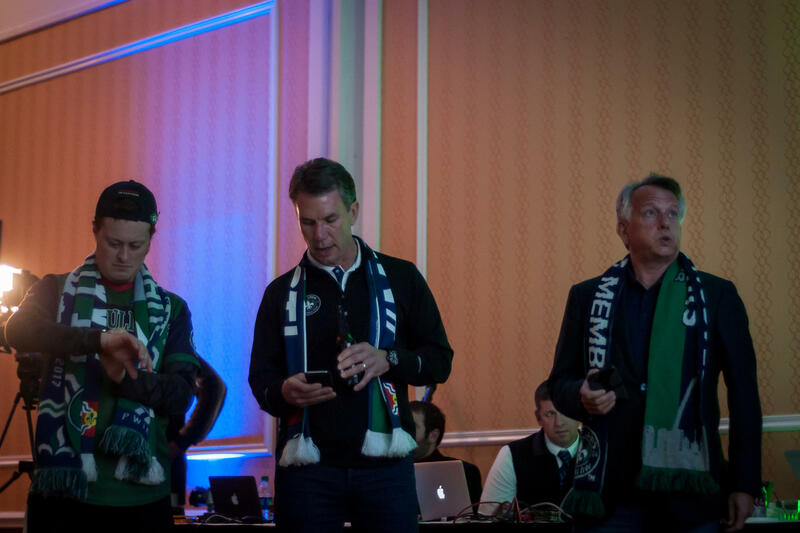 St. Louis does have a professional team that area residents can watch — Saint Louis FC of the United Soccer League, which plays in the county. St. Louis’ Major League Soccer hopes likely died Tuesday. City residents voted for sales tax and use tax increases that’ll go toward city services, but turned down Proposition 2, which would have funneled the use tax toward a new stadium. 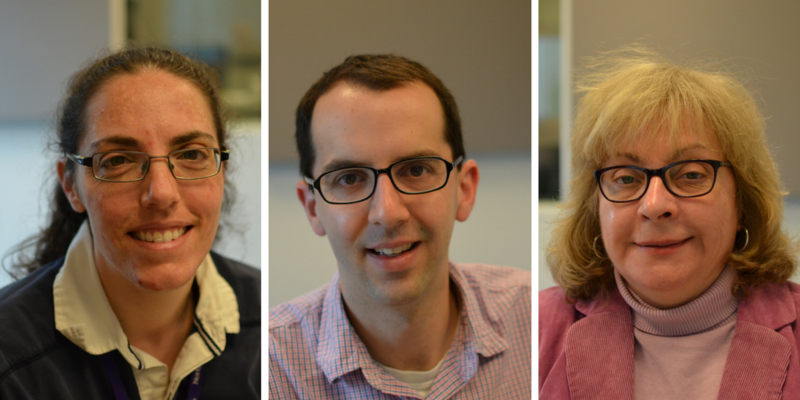 St. Louis will keep its Recorder of Deeds office, voters decided Tuesday. That means the city’s police department will have to find another way to help purchase for body cameras. The measure, which moves the Recorder of Deeds office’s duties to the city assessor, would have needed to pass with 60 percent or more of the vote because it is considered a “county office.” It received 51.58 percent of the vote.